Question and answers service Aardvark is being shut down as part of GoogleLabs at the end of September, according to an announcement made today on the Aardvark blog.. The service which allowed users to ask and answer questions from people in their extended social network through their Google Chat window was a fast hit, but it wasn’t to be. Aardvark began as a small experiment in a new kind of social search, and over a few years blossomed into a service that made millions of connections between people to answer each other’s questions. It was a great experience in seeking to combine a broad vision for the future of technology with a rigorous user-centered design process. Over this time, we learned a lot about creating and maintaining online communities, and how to facilitate sharing of knowledge between people. We’ve been excited to share these lessons within Google over the past year, especially as part of the effort behind Google+. It has been gratifying to see how well this project is doing — even in these early stages, Google+ has already become a great place to share knowledge online, eclipsing the original vark.com! — and there is much more to come very soon. In this and other projects at Google, the Aardvark team remains committed to developing powerful tools for connecting people and improving access to information. 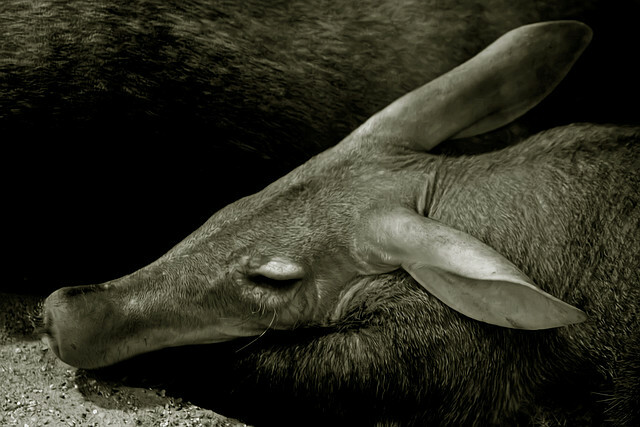 Of course, we’re also sad to say goodbye to the original Aardvark here at vark.com. Who would have thought that a digital version of a nocturnal burrowing mammal would have engendered so much affection! We’re very grateful to the whole Aardvark community for your support along the way. Google has a nasty habit of making high profile acquisitions, only to let the product wither on the vine. Dodgeball is a prominent example. The location-based service was a predecessor to Foursquare, built by founder Dennis Crowley. Once at Google, the service never got any support, and was eventually discontinued. We all know how that went. Aardvark was purchased for $50 million in February 2010. Best wishes to the team at Aardvark.